A large amount of the restaurant equipment we sell at One Fat Frog runs on natural gas. That’s because chefs tend to prefer gas to electric due to its increased accuracy and efficiency as well as the fact that gas equipment doesn’t heat your kitchen as much. Natural gas can be dangerous, though, which is why the proper safety precautions need to be taken. The most important thing safety precaution for a new restaurant entrepreneur is knowing how to spot a gas leak and knowing what to do if there is one. If your gas range or other piece of equipment has a gas leak, you might smell it. There is a distinctive smell similar to rotten eggs that natural gas gives off when it leaks. In truth, that isn’t actually the gas itself. Natural gas is actually completely ordorless. The smell comes from an additive called Mercaptan. That additive is mixed with all natural gas before it is sold or placed in pipelines and it gives off that smell if the Mercaptan ever mixes with the air. So the next time you hear someone say they smell gas, tell them “no you don’t. You smell Mercaptan. Boom!” But don’t actually say “boom” because the gas, and the Mercaptan, is flammable, so it could end up being in poor taste. More on that later. That rotten egg smell is a dead giveaway of a larger gas leak, but if you have a small leak that is emitting small amounts of gas, you might not be able to smell anything. Other warning signs are a hissing sound, the appearance of objects near the gas line being blown by air, and of course dead plants that had until recently been thriving. So what should you do if you think there’s a gas leak in your kitchen? Get out. That’s the most important thing. If your restaurant is open, evacuate it. Yeah, I know it would freak out your customers, but being killed in a gas explosion would freak them out even more. Natural gas is highly flammable and can ignite from any spark or flame. The carbon monoxide in the natural gas is also toxic, so you don’t want to breathe the stuff even if no fire or explosion happens. Symptoms of exposure to natural gas include headaches, nausea, dizziness, breathlessness, and loss of consciousness. On your way out of the restaurant, don’t touch anything electrical and don’t use your cell phone until you’re safely outside. Then call the authorities. If this is scaring you away from gas, it shouldn’t be. 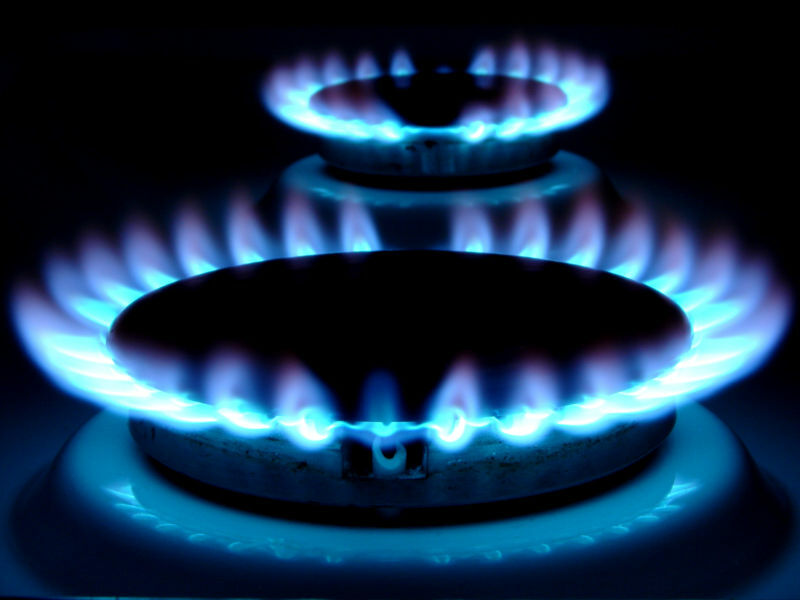 Natural gas is still considered a safe fuel and is preferred by most chefs. Proper precautions do need to be made, however, which is why the Frog is posting this. If you’re too scared of gas now, though, don’t worry: One Fat Frog has plenty of electric restaurant equipment as well. But I’m sure you’re not afraid of a little gas.